Weaving together philosophy, social science and neuroscience research, personal anecdotes and dialogues, A Child at Heart takes a radically different approach to the traditional boundaries between childhood and adulthood to reveal how rather than lapse into adulthood, we can achieve what the Greeks of old call areteall-around excellencewhen we look to children and youth as a lodestar for our development. Childhood is our primary launching pad, a time of life when learning is more intense than at any other, when we gain the critical knowledge and skills that can help ensure that we remain adaptable. This book weaves together the thinking of philosophers from across the ages who make the unsettling assertion that with the passage of time we are apt to shrink mentally, emotionally, and cognitively. If we follow what has become an all-too-common course, we denature our original naturewhich brims with curiosity, empathy, reason, wonder, and a will to experiment and understandand we regress, our sense of who we are will become fuzzier and everyone in our orbit will pay a price. 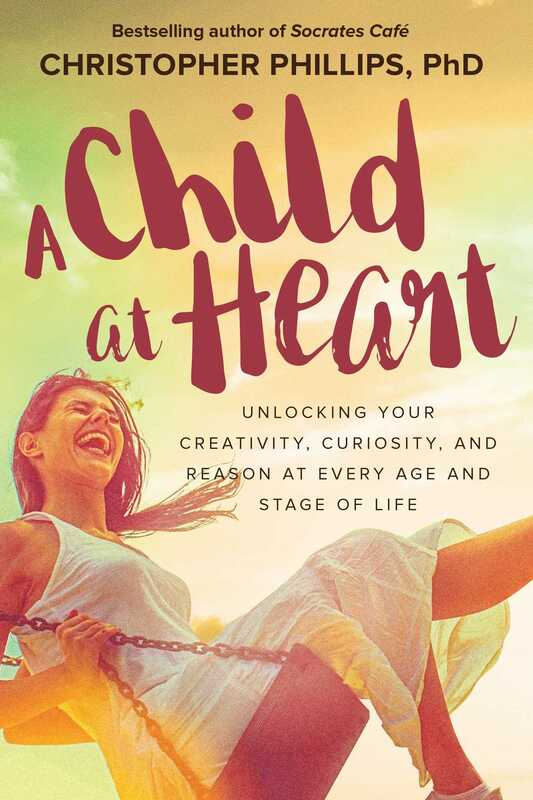 Mounting evidence shows that we begin our lives with a moral, intellectual, and creative bang, and in this groundbreaking, heavily researched, and highly engaging volume, Christopher Phillips makes the provocative case that childhood isn't merely a state of becoming, while adulthood is one of being, as if we've "arrived" and reached the summit. His life-changing proposition is that if we embrace the defining qualities of youth, we're not destined to become frail, dispirited, or unhinged, we'll grow in a way defined by wonder, curiosity, imaginativeness, playfulness, and compassionin essence, unlimited potential.